FALL RIVER, Mass. 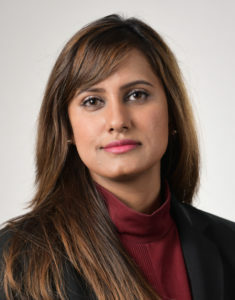 — Southcoast Health announced today that Syeda Maria Sayeed, MD, has joined the Rheumatology department as a member of the Southcoast Physicians Group. As a rheumatologist, she specializes in the diagnosis and therapy of rheumatic diseases, which include problems involving joints, soft tissues, autoimmune diseases, vasculitis, and heritable connective tissue disorders. Dr. Sayeed earned her medical degree at Dow Medical University in Karachi, Pakistan. She completed her residency at Memorial Hospital of Rhode Island and Alpert Medical School Brown University in Providence. Dr. Sayeed also completed her fellowship in Rheumatology at the University of Vermont. She is a member of the American Medical Association, the Rhode Island Medical Society and the American College of Physicians. Dr. Sayeed is seeing patients at 1030 President Avenue, Suite 221, in Fall River and can be reached at 508-676-3411.